The tide has been turning on the nation's health for many years. We've seen the McDonald's food chain embrace salads and politicians introduce a sugar tax to help cut obesity rates. So is it a surprise Coca-Cola is diversifying from sugary drinks towards protein-packed milk? No. In fact, it's already made the move on the North American market. It is understood representatives from Coca-Cola have visited Ireland several times in the last two years, considering options from milk R&D to processing here. Is it unusual a major multinational company would look towards the Irish dairy scene? For many, it's unsurprising. There's a buzz about Ireland's research and development scheme, between cutting-edge work under way in the country's universities, and the innovations coming out of the Teagasc Moorepark centre in the heart of dairy land near Fermoy, Co Cork. Many Irish companies are leading the way, and seeing it on their balance sheets as they extrapolate the proteins out of the 'white gold' and look for new functions for them. Yet perhaps the real reason that a company with as strong a brand as Coca-Cola is looking towards the Irish dairy scene is down to many of the same reasons as the likes of infant milk powder producers, such as Danone, now have a strong base in Ireland. One industry insider, who has been aware of Coca-Cola's interest in Ireland and involvement with the IDA for several years, stressed it was the story behind the Irish dairy scene. It's the image of grass-fed cows, the integrity of the product, safety and what is viewed as a low-risk dairy scene that is attractive to the multi-national firms. "If Coca-Cola choose Ireland, it is a good boost for the Irish dairy processors' reputation," he pointed out. In the US, Coca-Cola's milk brand is called Fairlife and it costs more than that of organic milk and double conventional prices for a pint of the white stuff. In fact, it has broken milk down into its constituent parts and redesigned it to deliver multiple versions of high-protein, low-sugar and lactose-free formulas. Trends and dietary requirements are changing with increasing interests in sports, combined with an ageing Western population that has different needs. It's understood interest has grown in the R&D and milk 'mining' that is under way in Ireland and interests would lie in manufacturing a branded functional food beverage with an edge to it. Already, Pepsi has an R&D team in Cork focusing on dairy, beverages, fruit and vegetables. 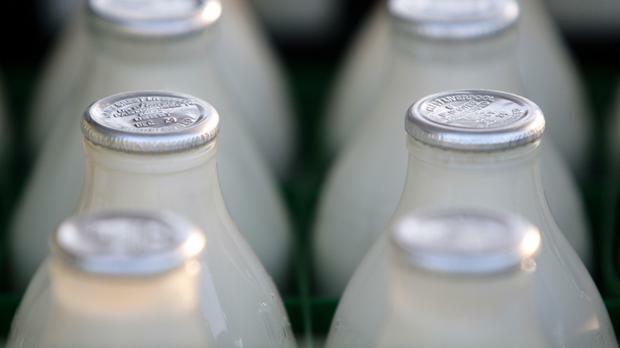 "Coca-Cola is looking at milk for the whole reasons of functional food, and it sees the tide turning in that direction," said another dairy insider. "Ireland has the potential to produce quite a lot more milk." Since the removal of the quotas, the shackles are off. The milk pool climbed to a massive 7.5 billion litres. Many beef farmers are being enticed to cross over by the incomes in the dairy scene. For the foreseeable future, unless emissions take a toll, the milk pool and profits look set to continue to climb.